I’ve worn glasses or contacts most of my life as I can’t see 2 feet in front of my face. I have terrible vision (seriously–my eyeglasses prescription is -9.0/-9.5). I used to hate wearing glasses, but once I came to term with the fashion accessory they were, I started to like them a little bit better. Now, I actually wear my glasses 75% of the time. 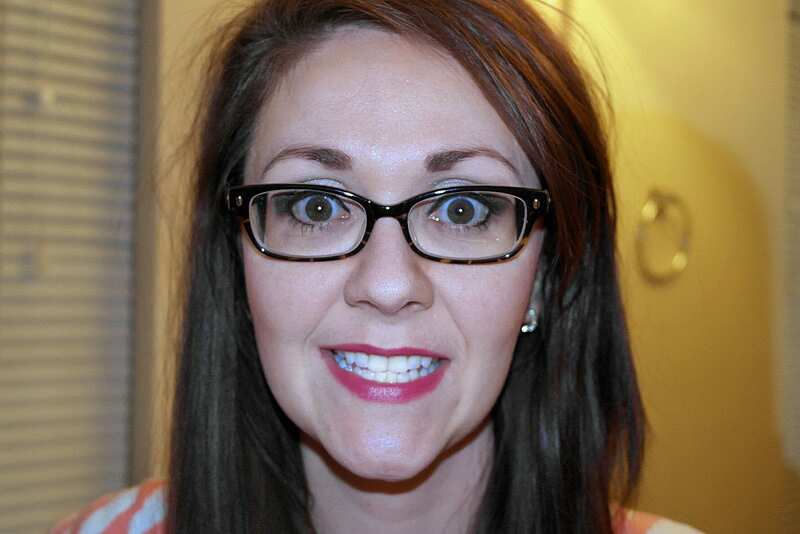 When wearing glasses and makeup together, it’s important to get the look just right. I recently picked up the Bobbi Brown Uptown Classics Palette while I was at the outlets and just knew it would be perfect for this tutorial. Now, if you don’t wear glasses, that’s okay, because you can still learn out to take a perfect neutral eye from day to night! Revlon option (and 1/4 the price!) in Moonlit or Siren. 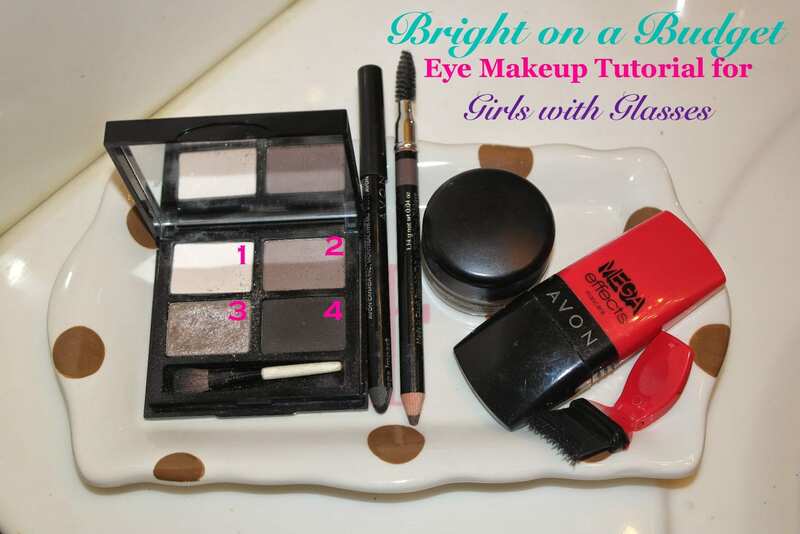 Mascara: Avon Mega Effects, c/o Heather Blanton, discussed below! For Steps 1-3, use a fluffy eyeshadow brush. For Step 4, as well as the Nighttime Look, use a crease brush. You can find recommendations for cheap but good brushes here. Step 1: After applying primer, use eyeshadow shade #1 (as show in the picture above) to cover from your crease up to your eyebrow. Step 2: Use shade #1 to deposit color in the inner corner of your eye. This brightens your overall eye appearance. 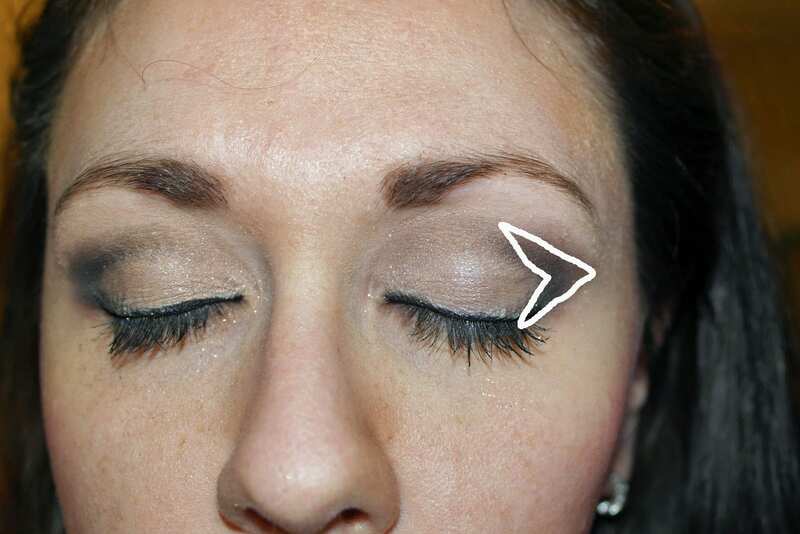 Step 3: Use shade #3 to cover your eyelid up to your crease. Step 4: Use shade #2 to contour the color along your crease to the outside corner of your eye, and then slightly bring the shade back towards your lash line, using the guide shown below. Add eyeliner (detailed below in the Evening Look) and mascara. The mascara I’m using is Avon Mega Effects. I thought the applicator looked intimidating and refused to try the mascara until my friend Heather sent it to me. I love this mascara because it makes your lashes look thick, and the applicator has a bendable handle, so you can get the perfect angle when applying! This is awesome for girls with glasses who can’t see far away, as you can hold the mirror close to you face and apply the mascara without the handle bumping the mirror repeatedly! At $10, this mascara is a bargain–if you’re interested, shop Heather’s Avon website here. Also, don’t forget to pencil in your brows! 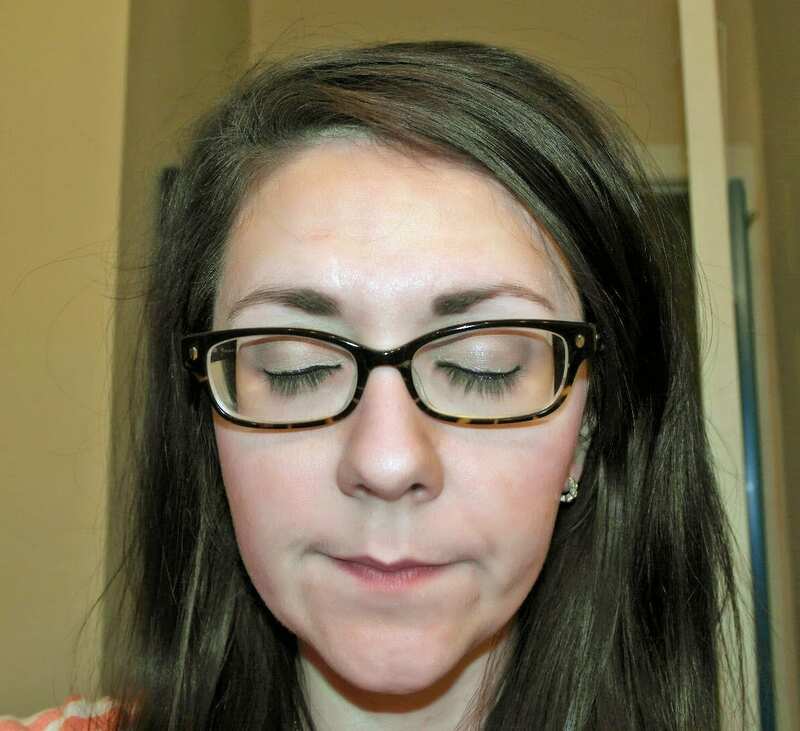 Filling in your eyebrows is very important, as this helps to frame your face with your glasses on:) You should do this after you finish your eye makeup and pop your glasses back on. Using short strokes with the eyebrow pencil, go from the inner brow to outer brow, and then use the spoolie to comb your eyebrows back in the opposite direction, then the correct direction, to make your brows look natural. This look is more casual. 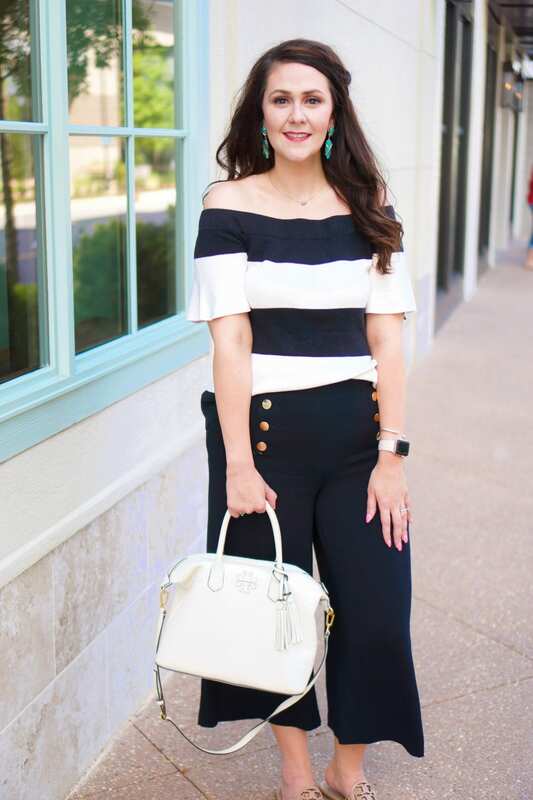 It’s perfect for the office or running errands. Glasses are by Kate Spade: Lucyann in Black Tortoise Fade. To take your look from day to night, simply take shade #4 and apply it in a sideways-V shape at the outside corner of your eyes. Blend the shade in and over so that it’s not harsh against your lighter shades. Starting at the inner corner of your eye, line the top lid of your eye by getting as close to your lash line as you can get. Extend the color slightly past the outer corner of your eye. 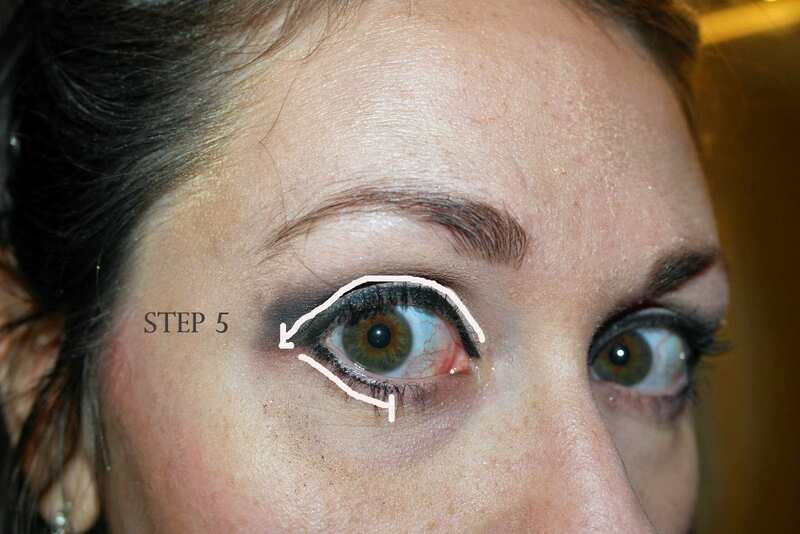 For the bottom, starting at the outside corner of your eye, bring the eyeliner over about halfway, and STOP. This gives your eyes a more open look than lining all the way across the bottom lashline. Try it–you’ll be amazed at the difference! Add some lipstick and you’re done! I’m loving this shade of MAC for summer! Love how white my teeth look here!!! The wonderful thing about this tutorial is that you can make it work regardless of whether you have this exact palette or not! Always use an ivory shade for Steps 1 and 2, a light neutral brown/taupe for Step 3, a mid-tone shade for step 4, and a darker shade to take the look from day to night! If you like this post, be sure to pin it so you can find it later! Just hover over any picture and click the big red Pinterest symbol. Love that eyeshadow pallet! I'm hopeless at the crease shadow stage. Every time I try, it ends up looking like I have a black eye. Pinned!! Thanks, Katie! It's all in the brush you use. I had the same issue before Is started using an eyeshadow brush specifically for the crease. Mine was always uneven!